The pivotal role of a support network and a healthy lifestyle in the battle against depression, anxiety and PTSD. I was first diagnosed with severe depression and anxiety whilst working as a headteacher (school principal). This was a slippery slope, which descended to suicide ideation. I continued to trundle downhill and quickly became intimate with that vicious, merciless, bedfellow – PTSD. Prior to this, my only experience with mental illness was in learning about it during my psychology degree. However, textbooks are scientific. Clinical. They never warned me of the all-pervading darkness, the sheer hopelessness that I would feel, the sleepless nights and the loss of control over my mind’s bleak wanderings. I was engulfed in despair. There were endless tears. And through it all, a thick shroud of shame – I had succumbed to mental illness. After a long struggle, I finally discarded the mantle of shame – I sought professional help. A lifetime of being strong and offering help to others had not prepared me for this. I felt naked. Vulnerable. But I took the first step, and it was the best decision I have ever made. I know that in my battle with mental illness, the millions of acts of kindness that I received saved my life. My GP, psychologist, psychiatrists, other professionals, family, friends and random strangers, offered humanity. They offered compassion, which gave me the strength to loosen, and then prise myself completely from the vice-like grip of mental illness. When I was in the throes of depression, my immediate reaction was to withdraw from the world. My support network was having none of this. They cajoled me out of the netherworld of fear, insisting that we eat nutritious meals together, that we talked, that we shared my terror, hurt and losses. Kale is literally the superfood that helped to sustain me. But, it is also a metaphor. This act of breaking bread is my kale – the goodness, lessons, and superfood of family, friendship and other humane nets that embrace us, build us and help us to get back up again. Closely related to sustenance is my physical and mental strength. After my PTSD, I tried the gym, swimming, running, gentle walks, marathon walks, and pushchair jogging. Finally, I was introduced to kettlebells. There is something about pitting mind and body against a ball-shaped cast iron weight that does it for me. 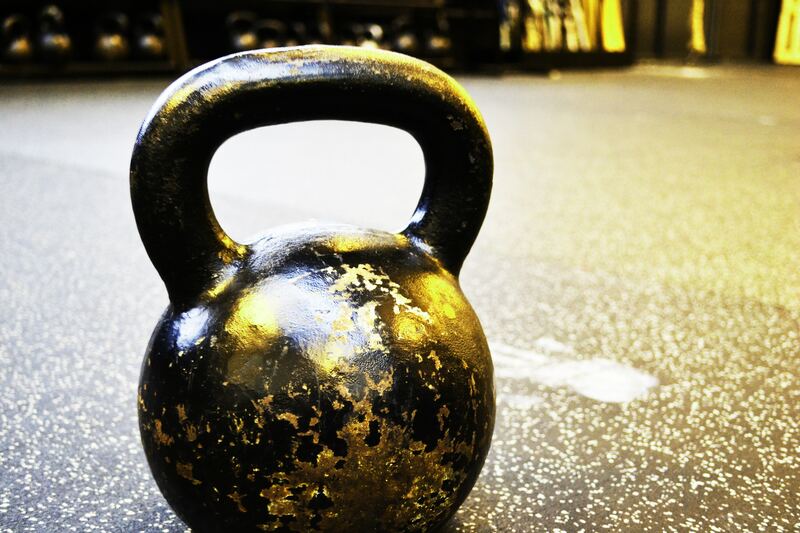 Kettlebells help me to build strength and muscles. It is the sunlight and water that keeps me resilient, especially as I weather the storms of my life. So, while I actually use kettlebells to gain strength, they also represent my physical and mental battles and my victories. Kindness, kale and kettlebells act as a bulwark. They halted the swings between life and death, darkness and light. In doing so, they saved my life. Sudhana Singh is the author of Kindness, Kale & Kettlebells: A journey to self-awareness. She is the Director of Imbue, a coaching and training company, based in the south-east of England, and is a former lecturer and headteacher. As an executive coach, Sudhana inspires others to change the narrative of their life stories and to overcome trauma with positivity and optimism. Kindness, Kale & Kettlebells is available on Amazon from June 2018.